There are many reasons as to why individuals turn to the internet for money making opportunities. It is either because they want to supplement their full-time job income, they want to get their creative juices flowing, or they want to make passive income online so that they can spend more time doing things they love and less time at a job. Unfortunately, there is a stigma that earning money online is difficult and so a lot of people end up giving up easily because they lack the discipline to see through the opportunity. 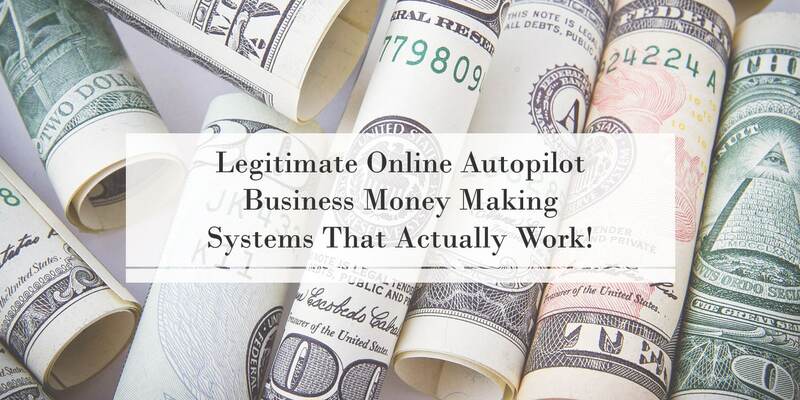 With this said, if you have the drive and discipline, you can realistically make money online through the following ways. These will include both supplemental and passive online income generating opportunities. 1) Sell Guides, or Ebooks for Passive Income. This is an insanely good opportunity to jump into if you have the knowledge and expertise to share about a particular niche. What makes this even better is that it doesn’t matter what your expertise lies in, there’s going to be a market for it. You don’t even have to write the ebook, if you decide to use PLR (Private Label Rights) content you can promote pre-written products. This is considered passive income stream because you only create the guide or the ebook once and then you can sell it over and over again. Plus, it doesn’t take a large capital to start it up and it can generate a lot of revenue if you are good at writing or have something insightful to say that people can find value in. You can sell your guides or eBooks practically anywhere on the internet, but a common place is Amazon. Finally, you can even pair your own guides and ebooks with your own website, and sell directly from there. 2) Sell Video Courses Online. This is a huge category to jump into. Not only can it be very profitable, but you don’t need that much to get started. Plus, people absolutely love watching video over any other type of media. If someone is presented with a guide book or a video guide, nine times out of ten they are going to choose the video. People love to be shown what to do, or how something works. So, if you have a computer, access to a decent microphone, screen recording software and a camera, you are good to go. The only thing that may be difficult here is finding the niche that fits you. You don’t even need your own website as you can use a marketplace like Udemy. This is considered an online passive income earner. 3) Start Up A Blog. Creating your own blog is considered the number one way to make supplemental income online but it requires a lot of discipline and investment. It can be difficult because many of the niche categories are saturated and it can take a few years of heavy investment with regards to time and written content before you ever really get going. However, if you have a long-standing interest in something, you can carve out your own little internet corner and monetize the blog to make money. You can monetize either through ads, whether that is using Google Adsense or selling ad space, or you can monetize with affiliate programs. Affiliates will pay you a certain percentage to send your viewers/readers to their website, this is similar to writing sponsored posts. This becomes an online passive income earner after a few years. 4) Use Existing Marketplace Websites. If you have any skill in photography, website design, marketing, graphic design, copywriting, or programming, then you can use existing marketplaces to sell your services or items. Existing marketplaces include Craigslist where you can sell off your physical items or rent out a room in your house, Upwork/Fiverr, where you can sell services, or even Etsy, where you can sell your hand-crafted art or crafts. This is considered a supplemental and passive online income earner. 5) Jump Into the App Economy. This is the fastest way to earn money online but you have to pick the right app from the beginning. No, I am not talking about developing apps, but rather using the existing ones like Uber, Lyft, Postmates, iBotta, and Ebates. These apps can give you a quick in to earning money online, but it won’t be as substantial as others in this list. This is considered a supplemental income avenue. 6) Become an Affiliate. Although this was mentioned in the blog section, you can sell products from various affiliate websites like Commission Junction, Amazon, and Clickbank to others online. However, you often need an active website that has large amounts of traffic. This is not an easy route to go, but is definitely a supplemental option for those who already have an online presence. 7) Start up a Webinar. 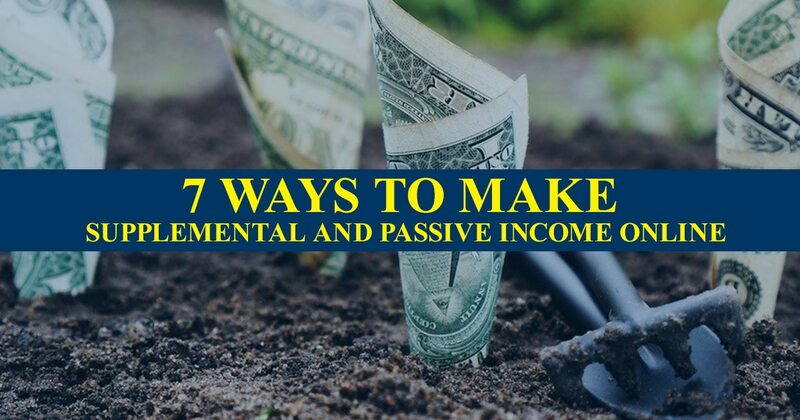 If you are able to teach on a particular topic, you can generate a lot of passive online income by hosting weekly or bi-weekly webinars. However, you have to have a product to sell and you need a sizable audience. No matter what method you choose for generating supplemental income, if you want to have sizable returns on the time investment that you put into the opportunity, you will need to stay disciplined and study the market you are in. Always focus on creating passionate, valuable, work that can be created and sold over and over again. ← Benefits Of Advertising Your Business On Your Vehicle.